Railpictures.ca - Matt Watson Photo: With windchills dipping as low as -50C in these past couple weeks I have not exactly felt the need to venture trackside much. But on this day work had me out in the area where CN’s Wainwright Sub crosses the SK-AB border so I seized the opportunity to shoot something next to the elevator at Butze Alberta. Butze is between Artland SK and Chauvin AB. | Railpictures.ca – Canadian Railway Photography – photographie ferroviaire Canadienne. Caption: With windchills dipping as low as -50C in these past couple weeks I have not exactly felt the need to venture trackside much. 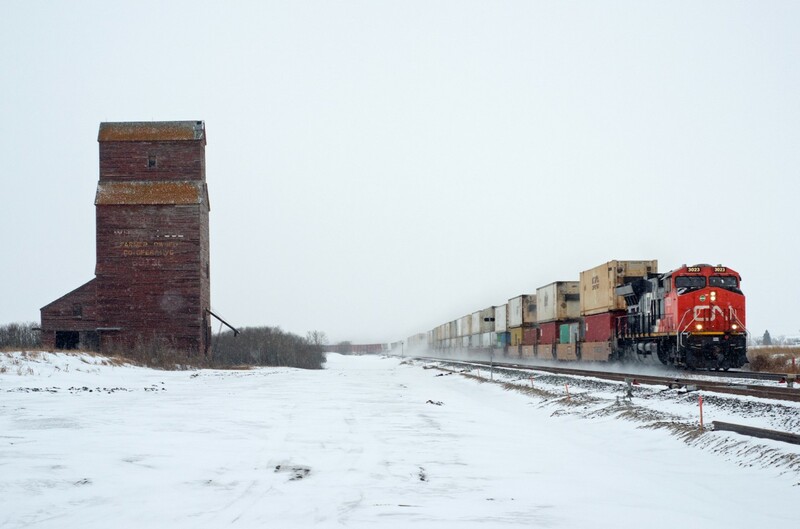 But on this day work had me out in the area where CN's Wainwright Sub crosses the SK-AB border so I seized the opportunity to shoot something next to the elevator at Butze Alberta. Butze is between Artland SK and Chauvin AB.